Really nice guy! Helped me out and was on time. 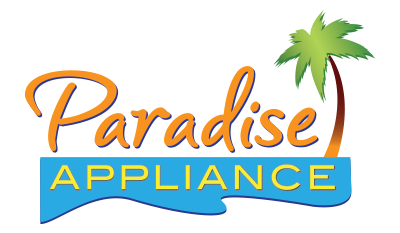 Had a great experience with Paradise Appliance. The technician they sent out (Larry) was experienced and knew what he was doing. Turns out it was a manufacturer's defect, ordered and installed the new part with no problems. I definatley recommend this company! Great service and good customer service. Robert was very friendly and knowledgeable. He was great. Francis Cruz is the best technician that we have ever had service our appliances. Paradise is lucky to have him. The technician was on time which I really appreciate, polite, knowledgeable and quick. WASHER WHIRLPOOL WTW4816FW2 "found loose connection for cold water inlet valve causing long fill error, reconnected connector ran test working ok."
DISHWASHER WHIRLPOOL WDT970SAHZ0 ran automatic test mode to check operation of wash motor.found tub full of suds but motor is working ok. advised on using lime-shine for hard water deposits / or vinegar. also to run hot water at faucet before starting dishwasher. checked jet dry dispenser.for correct operation. WASHER WHIRLPOOL WTW5000DW2 f0-e2....recalibrated and chescked for correct operation.advised on detergent use. DISHWASHER MAYTAG MDB8959SFH4 f5-e1..top rack not shuting all the way.adjust top rack and rails and tested for correct door opening/closing. WASHER WHIRLPOOL MVWB865GW0 "load was off balanced. adjust load and ran in spin cycle.,unit working ok.recalibrated unit"
RANGE KITCHENAID KGRS505XSS "19.47,19.47..21.99..20.00.23.89..10.54..10.54..19.61..16.31..43.76..97.53..right front burner not igniting. all burner heads screws rusted. need to be drilled out...; ordrng 10 WP3368921 (screw-torx)s and 2 WPW10407680 (holder-orf)s and 1 WPW10407678 (holder-orf) and 1 W10861630 (holder-orf) and 1 WPW10319347 (holder-orf) and 2 WPW10406243 (burnr-head)s and 1 8286183 (burner head) and 1 WPW10406797 (burnr-head) and 1 WPW10336094 (burnr-top) and 1 74009098 (module,spark)"
REFRIGERATOR KITCHENAID KRSF505ESS01 "when trying to get water or ice beeps, also i try to put it on test mode it doesn't respond , i disconnected start working normal"
WASHER MAYTAG MVWC465HW2 "advised cust on all setting, water pressure and wash times. washer working ok."
DISHWASHER WHIRLPOOL WDTA50SAHZ0 checked float switch and .took lower panel off and checked wire harness and for leaks.. ran complete test cycle and verified correct operation. leaking at air gap advised cust to have repaired..all button on console working ok.
DRYER WHIRLPOOL WGD8500DC4 Checked the dryer found burner no firing. Connector on valve coil was disconnected. Reconnected the gas valve coil and tested operation. REFRIGERATOR KITCHENAID KRSF505ESS01 "when trying to get water or ice beeps, also i try to put it on test mode it doesn't respond needs UI i ordered main board for in case, if it does we'll need to call for aproval.also only light were working not cooling i disconnected and connected back now everything start working normal. ; ordrng 1 W10822640 (UI) and 1 W11172798 (main board.)" RANGE WHIRLPOOL WFG525S0HV0 replaced console verified correct installation. REFRIGERATOR WHIRLPOOL WRS321SDHB00 "Water leaking from ice maker tube to valve connection, corrected the water leak and tested ice maker fill." WASHER WHIRLPOOL WTW7000DW3 replaced door lock and main cantrol. recalibrated and tested for correct operations through test cycle. REFRIGERATOR KITCHENAID KRMF706ESS01 Checked the refrigerator ice bin is empty. Freezer temp 4f ice room 3f refrigerator section 38f. No ice maker error codes present and all test passed alon with fill. Replaced the ice maker and disconnected and reconnected the refrigerator. REFRIGERATOR WHIRLPOOL WRB329DMBM00 replaced bi-metal harness and verified compressor and fans running. LAUNDRY CENTER MAYTAG MVWB765FW3 HELPING JV TRAINING . WASHER WHIRLPOOL MHW3505FW1 cleaned debris from pump and tested for correct operation.washer pumping out ok.
REFRIGERATOR WHIRLPOOL WRT111SFDM03 "defrosted ice build up on the knob in freezer on back cover. checked fridge, all checks good now." WASHER WHIRLPOOL WTW7000DW3 "f5-e1,,,,f8-e6,,,f0-e3,,, put into test mode and door will not lock. ; ordrng 1 W10810403 (lid lock assy) and 1 W11182871 (control board)"
REFRIGERATOR KITCHENAID KBFN506EBS01 Ice maker arm extension missing from the arm. Installed the ice maker extension arm. REFRIGERATOR WHIRLPOOL WRB329DMBM00 "freezer evap cover frozen over , defrost issues. order control board and wire harness. ; ordrng 1 W10503278 (control board) and 1 W11260592 (wire harness)"
REFRIGERATOR WHIRLPOOL WRT541SZDW00 ompressor cycling on the overload. Replaced the ptc device compressor now running amperage normal. DRYER WHIRLPOOL GGW9250PL2 "replaced thermal fuse, checked dryer and is now heating"
WASHER MAYTAG MVWB765FW2 replaced the gearcase and clutch assembly. WASHER WHIRLPOOL WFW85HEFC1 "f05 e02 door lock problem it was closing sometimes and sometimes it was not,replaced the door latch the washer is working properly again .tested out the washer." WASHER MAYTAG MVWX655DW1 "replaced bad door latch lock,ran test working ok.; used 1 W10838613 (LATCH) from stock"
WASHER WHIRLPOOL WTW5000DW2 Replaced the lid latch calibrated washer tested manually. and passed automatic test. REFRIGERATOR WHIRLPOOL WRX735SDHZ00 Filter stuck. Freed stuck filter customer had a spare installed filter and flushed system. Measured fill operation is accurate. REFRIGERATOR WHIRLPOOL WRF736SDAM13 by-metal open-repalced assembly. OVEN WHIRLPOOL WEG745H0FS0 Complaint oven temperature too cold. Tested oven temperature and raised calibration 5f.